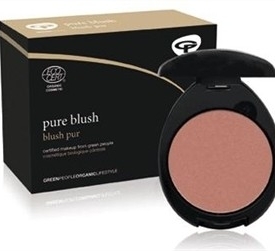 his certified organic blusher is made without Carmine, Mineral Oils, Parabens, Bismuth Oxychloride, Petrochemicals, Phthalates and Synthetic Colourants to bring you the purest blusher that nature can offer. 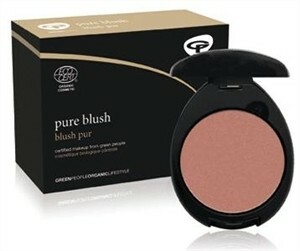 Our compacts are made with 100% natural plastic and coloured with earth-friendly, natural colour. Swirl brush once (for light coverage) or twice (for fuller coverage) around the pure blush, tap off the excess. Smile, it’s the best way to find the apples of your cheeks! Lightly brush blusher over the apple of the cheek toward the ear with a short upwards sweep - build the colour to the intensity you desire.